As an education leader, you know that student success begins with the right preparation. So when it comes to your learning, wouldn’t it make sense to take your own advice and prepare the best application you can for a Master of Arts in Educational Leadership program? As you put together your application package, there’s a lot to do and consider. 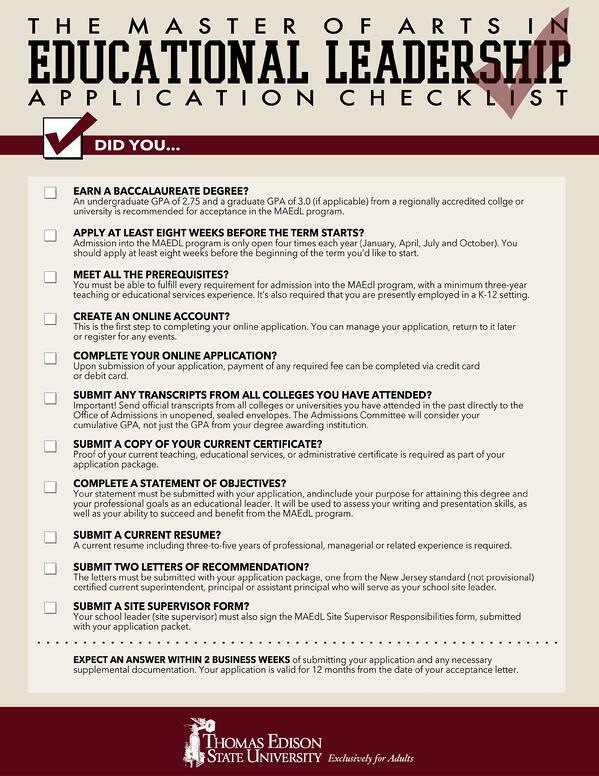 So to make the process a little easier, download this simple, printable checklist to make sure you’re not missing anything significant. And most importantly, that you’re submitting a stand out application to the MAEDL program that represents you. After all, aren’t there a lot of students counting on you? Download a printable MAEDL program checklist (pdf) right here.